When I got the call to work on SMALLVILLE season 11 in comic form a couple of years ago, I got excited because I thought it would be great to finally test my drawing skill in drawing likenesses in a superhero format based on what was seeded by television and established for ten years. Mind you, A great feat by any standard. People don’t expect a series of any sort to make it five years, which pretty much guarantees syndication, and guaranteed back money for all involved in that show, but you go ten years, we’re talking something special. It’s why I wanted to push that envelope and prove I could do such great feats myself. So I started to prep. I went for direct likeness by collecting a half a gig in photos on my computers “SMALLVILLE file folder ” and studied the hell out of everyone to make sure I could draw them effortlessly. I felt I accomplished the drive-by. But I would later find out that my efforts would be in vain because the actors couldn’t have direct likenesses drawn and published. I think it’s some weird contract thing. 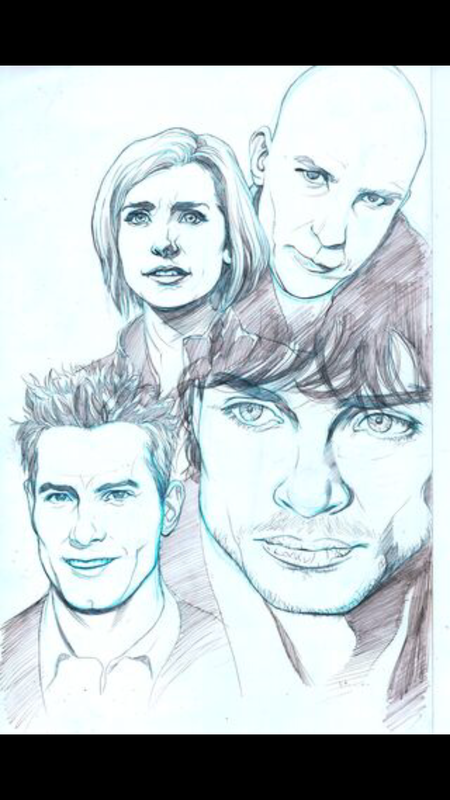 I feel people should see the sketches of the actors in SMALLVILLE through my eyes. And what could have been.